Mon Dieu! 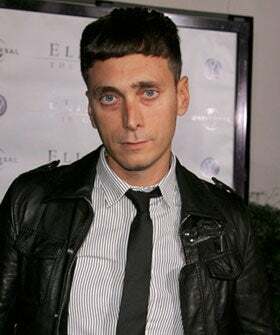 YSL's Hedi Slimane To Stay Stationed In L.A. It's no secret that YSL's Hedi Slimane has a crush on Lala Land. (Who doesn't these days?). After seven years at Dior Homme, the slim designer packed his bags and relocated to SoCal to pursue art and photography. His first West Coast solo exhibition — California Song at MOCA — totally fanned our egos. But when it was announced in March that Hedi would replace Stefano Pilati at the helm of YSL, our hearts sank at the thought of having to say au revoir. Well, rejoice Angelenos! Our favorite French export isn't going anywhere anytime soon. We've just caught word that Hedi will continue to call L.A. home. Yes, YSL's headquarters are based in Paris, so it goes without saying that Hedi will have to travel for fittings and official business. But, we're completely content with him splitting his time between the City of Light and the Sunshine State. Who knows, maybe we'll see references to Griffith Park and Abbot Kinney street style in his upcoming runway collections?